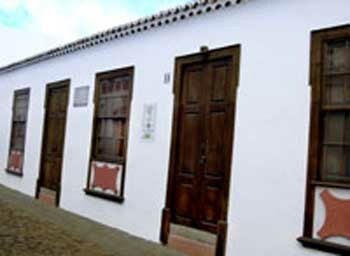 Visit the Casa del Maestro Ethnographic Museum in Tijarafe, La Palma. Casa del Maestro Museum is an ethnographic museum located in an old school of Tijarafe, in La Palma. This museum has many aboriginal pottery as well as information on their cuisine, la fiesta del diablo and others. Calle 18 de Julio, 11, Tijarafe - La Palma.